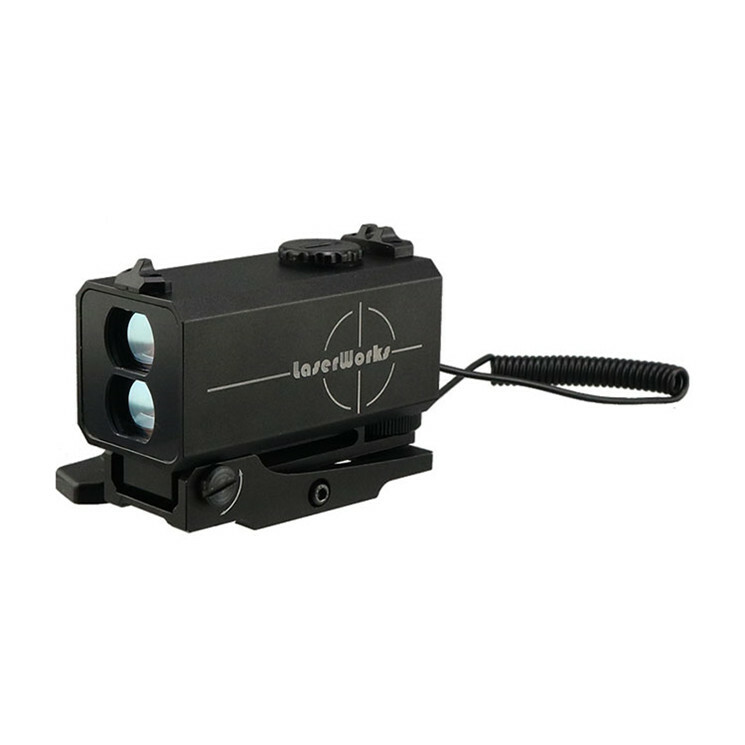 Mini laser rangefinder, all-metal shell, with mechanical aiming point, using color OLED display. 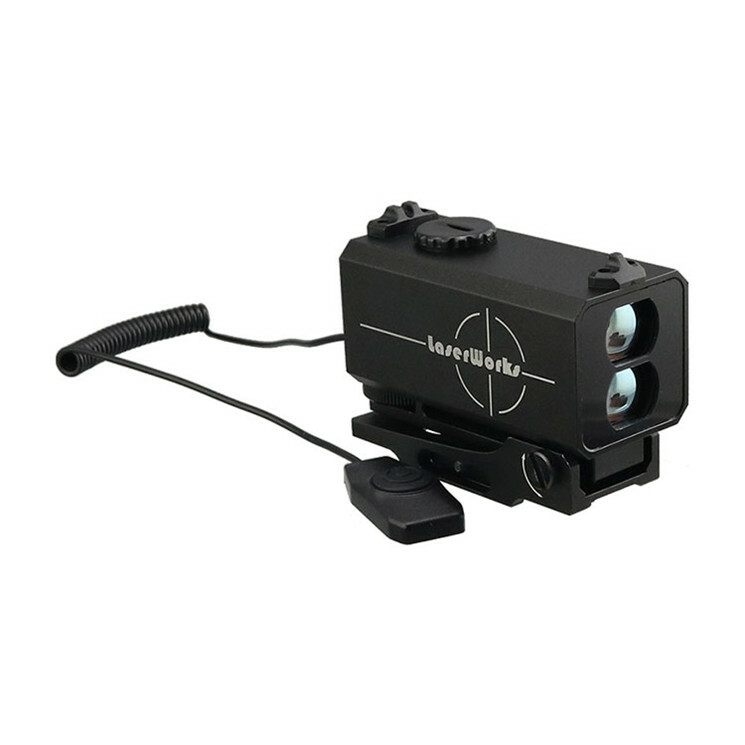 It is very convenient for riflescope, bows, and crossbows for fast continuous distance measurement. 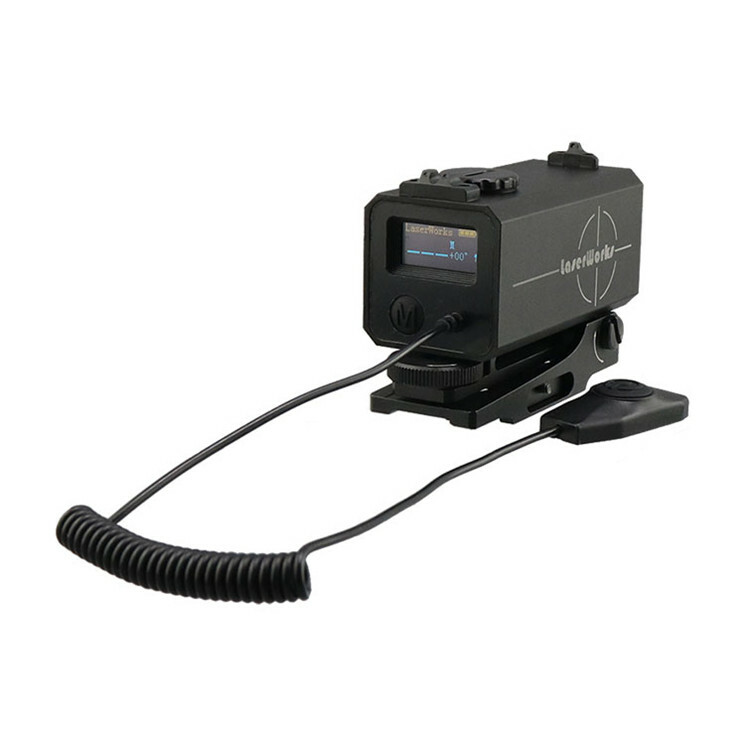 New laser adjustable bracket has been developed for easy zero with rifle scopes or achery pin sight. All products are carefully checked and packaged in good condition before delivery. In case of any damage caused by transportation or other factors, we will try our best to solve the problem in time. Please feel free to contact us if you have any questions or concerns before or after your purchase. 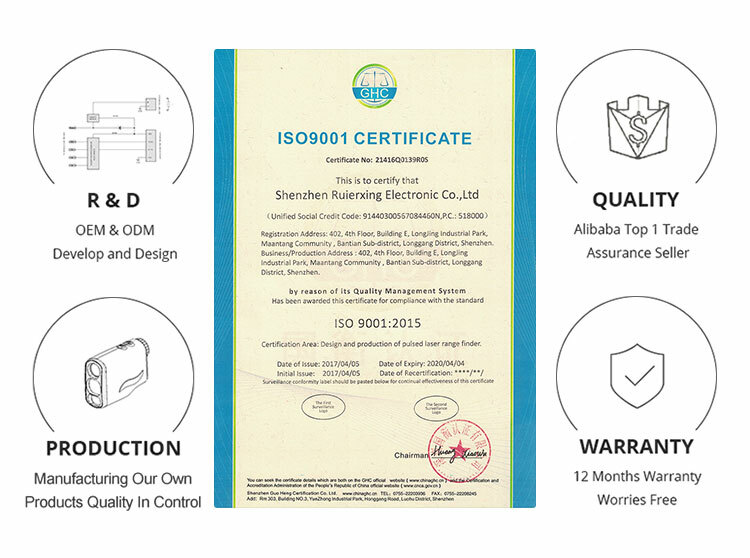 We will reply you within 24 hours.We maintain high standards of excellence and strive for 100% customers satisfaction! If you are satisfied with our products and service, please kindly leave a great feedback. Thanks in advance. ODM & OEM is also available since we have our own developing and manufacutering team. Your initial contact is hightly appreciated. 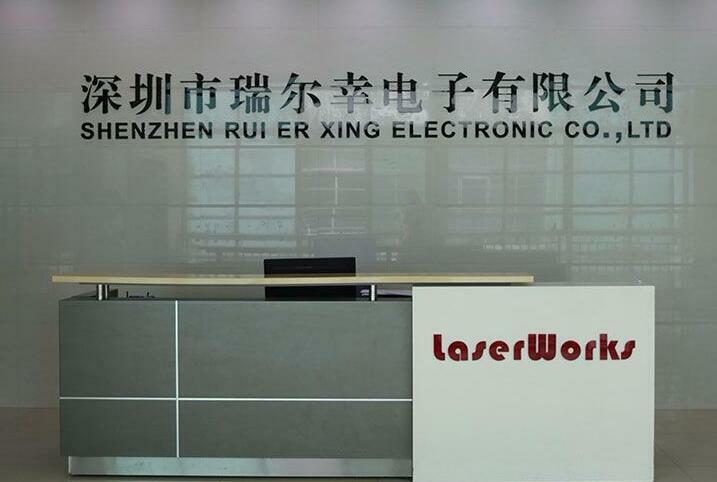 Shenzhen Laser Explore Tech. 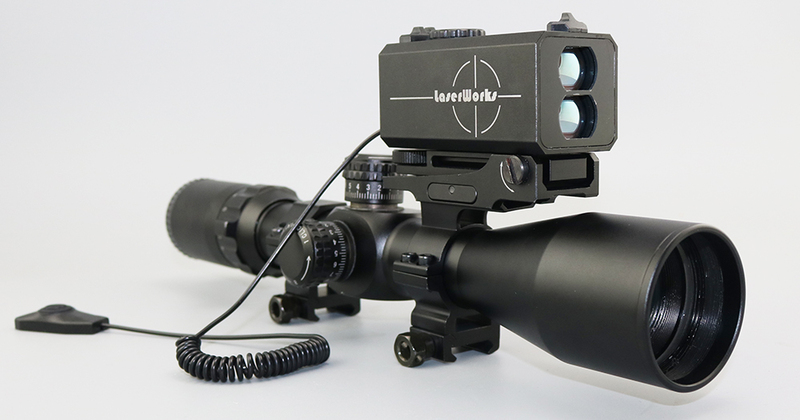 Co., Ltd is the professional laser rangefinder, ranging night vision, spotting scope manufacturer since 2004. There are 12 persons in our R&D department. Our rangefinder is patented from domestic market and beyond. We keep on innovating to satisfy and encourage our client’s needs. Thanks to our decade years experience on laser rangefinder production, our products have been sold to about 15 countries all over the world and we have worked with other OEM manufacturers over the world too. Rangefinder has to be finished in several processes.It requires a variety of equipments and a lot of human work to complete the high quality products such as: proofing-test-processing-Test and so on. From the process of producing semiconductor circuit board, uploading softwear onto the board, cleaning eyepiece, assembling the prism for the eyepiece, checking the good condition of the internal LCD, ratifying the emission and reception lens, testing the correctness of ranging to finally assembling to a whole piece. Every process is closely checked to make sure our product defect free. 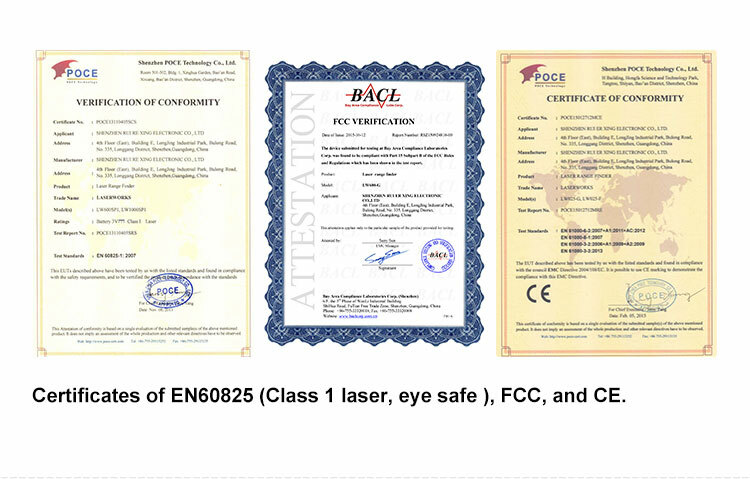 Our rangefinders are CE,Rohs,FCC, FDA, EN60825 approved. If you have any further questions or requests, please feel free to contact us. We will respond in 24 hours. Your time is highly regarded.